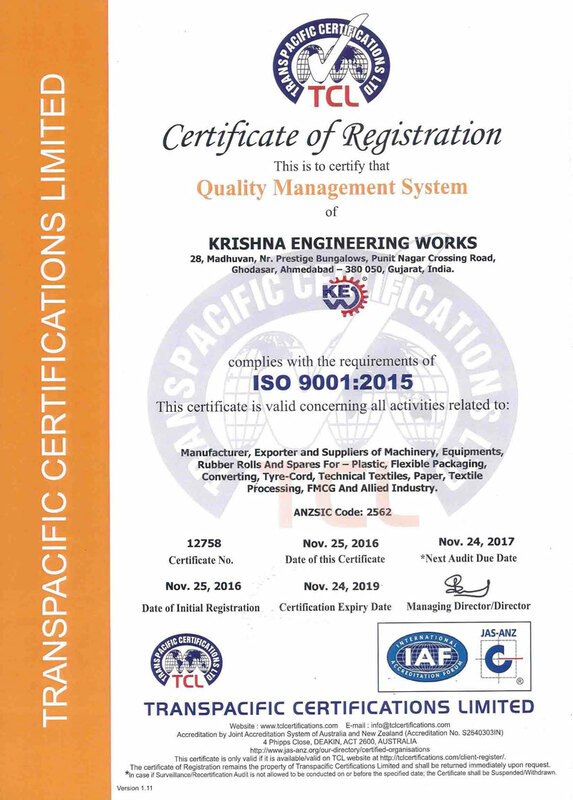 Krishna Engineering Works is a company engaged in manufacturing, exporting and supplying of Flexible Packaging, Paper, Tire–Cord, Textile Machinery & Equipments. In the Flexible Packaging category, we manufacture Web Aligner, Web Aligner unit, Hydro-Pneumo Web Aligner, Web Guiding System, Tracking Roller Assembly, Repairs & Servicing of Hydraulic Power Pack and many more from Ahmedabad, Gujarat, India.We have been successfully manufacturing all types of above Converting machinery since last 25 years from Ahmedabad, Gujarat, India. 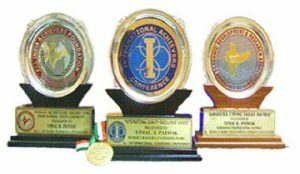 We are winner of 3 times National Award and 2 times International Award for Quality manufacturing.Krishna Engineering Works are successful manufacturers, exporters and suppliers of above machineries with great performance & quality assurance with customer satisfaction. We confirm the assurance of the quality of machineries and its components as they are being manufactured in our own factory, which is well equipped with all necessary top quality technically skilled personnel, raw materials & machineries. From raw materials to finished components are carried out up to final stage of assembly with total inspection to ensure export quality. Also in the final stage of the machine, continuous trial is taken to satisfy ourselves before being dispatched to our customers. We use state of the Art Technology with computerized drawing designs.